Nominations for our Autumn Elections are now open, so take a lead on your course, your Halls and your campus. This is your chance to make change to your university life and share the ideas of fellow students to the Union, the University and the wider world. 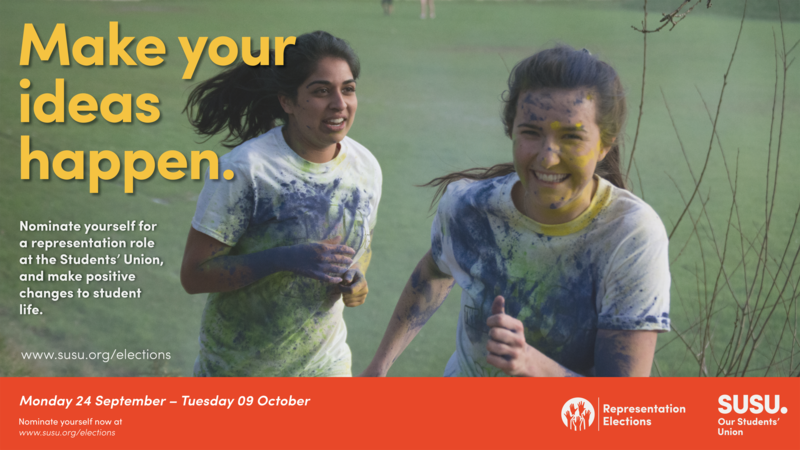 You can nominate yourself at susu.org/elections. Nominations for our Autumn Elections are now open, so take a lead on your course, your Halls and your campus. This is your chance to make change to your university life and share the ideas of your peers to the Union, the University and the wider world. 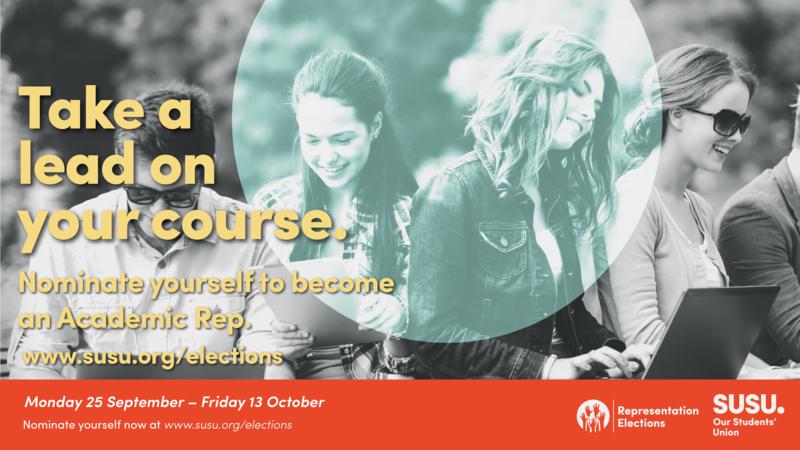 You can nominate yourself at susu.org/elections. Our Academic Reps are there to listen to the concerns, ideas and issues of everyone on their course and relay these to us and the University.